By Kieva McLaughlin | March 5, 2015. 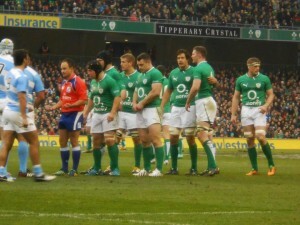 Ireland beat England 19 – 9 at the Aviva Stadium on Sunday paving the way for their first 6 nations Grand Slam since 2009. Robbie Henshaw was made man of the match after scoring his first Test try, with Sexton scoring the other 14 points. 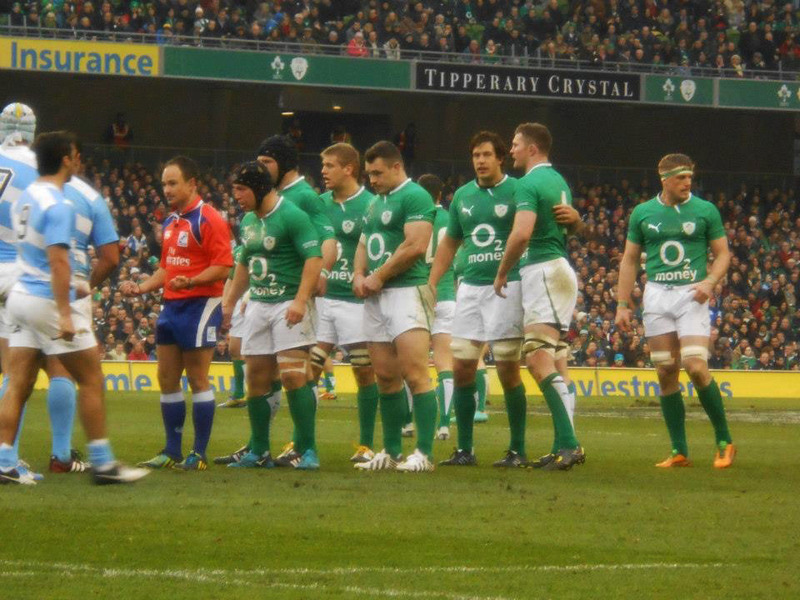 Ireland are now 2-1 on favourites to win the 6 Nations for their second year in a row. Ronan O’Gara said, “Ireland are operating at a different level than any other team in this championship.” Ireland played particularly strong in the first 25 minutes of the second half. Jonathan Sexton was taken off in the second half of the game due to a hamstring injury. This moved the game into England’s favour and even though Ireland were ahead, England stepped up and scored two more penalties keeping Ireland on edge. England appeared to score a try in the last minute of the match but the referee ruled that there was a forward pass and then blew the full time whistle. Ireland have now won 10 matches in a row this equals their record for most consecutive international victories. If they win against Wales next week they will beat their record from 2003.